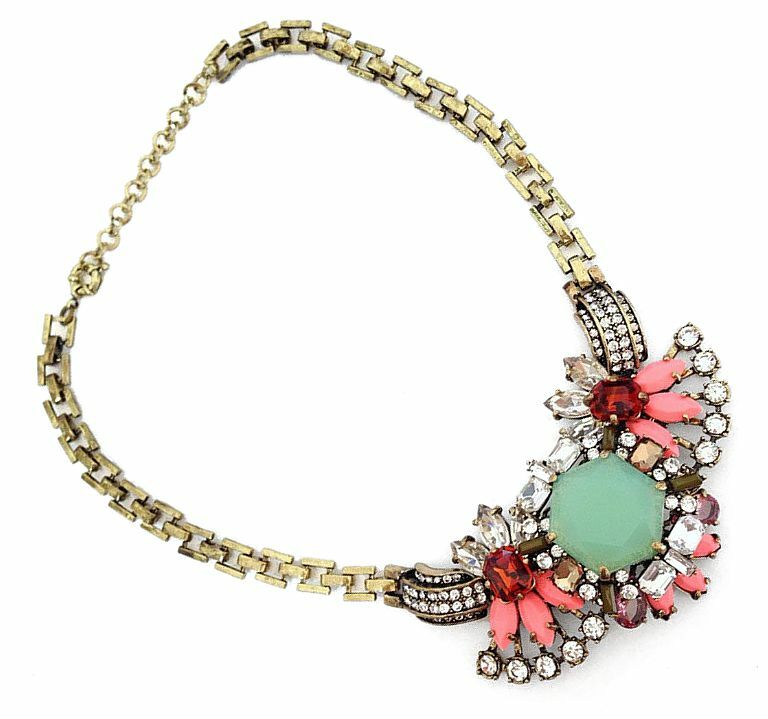 There are five factors that make this statement necklace utterly desirable. Number one it looks delightfully vintage. Two, it has a square gold chain necklace section that’s totally on-trend. Three, it sparkles like crazy as you move. Four, It’s created in a dynamic mix of green, pink, topaz, ruby and crystal clear jewels that are to-die-for. And five, it has a magnificent 3D design that involves a multi-facetted green hexagon shield, surrounded by shimmering baguettes and circular rhinestones in clear and topaz. And this is bordered at either side by opaque pink and crystal marquise-shaped crystals, forming the shape of two orchids, with ruby crystals at their centres. Utterly glamorous and very sophisticated, it’s the perfect size to make a statement. Length: 43cm (16½") + 7cm (2¾") extension. Centrepiece: 9cm (3½") x 6cm (2½").